Are you one of those adventurous folks who likes to avoid the tourist traps, and checkout the places that the locals swear by? 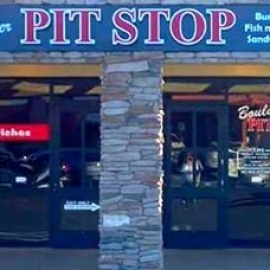 With delicious fresh food and a convenient location, you simply can't beat Pit Stop in Boulder City, NV! Pit Stop restaurant has been a Boulder City tradition for residents since about 1980. But now the secret is out, and tourists are now catching on to what the locals have known as a great family dining "Pit Stop” for years. 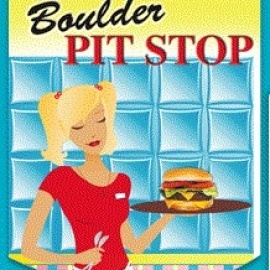 Pit Stop was voted "Best Burger” by Best of Las Vegas. Stop by for one of our world famous hamburgers, cooked to order, using high quality lean beef. Always delicious, and always priced right. Our friendly staff can't wait to serve you! Pit Stop offers burgers, fish & chips, sandwiches, chicken, hot dogs, salads, domestic and imported cold beer, and many other options. We always strive to serve a high quality product in a fun, family atmosphere. Whether you're looking for a place to dine-in or take-out, think of us the next time you have an urge for a delicious meal.